HTC One 2 Leaks Gold Chassis And Three Lenses. evleaks is on a rampage on Twitter as he/she/they have released a supposed leak of what the HTC One 2 could look like upon release. Look below on the twitter pic. What you see here, is that the phone will have 3 camera lenses two in the back and one in the front. 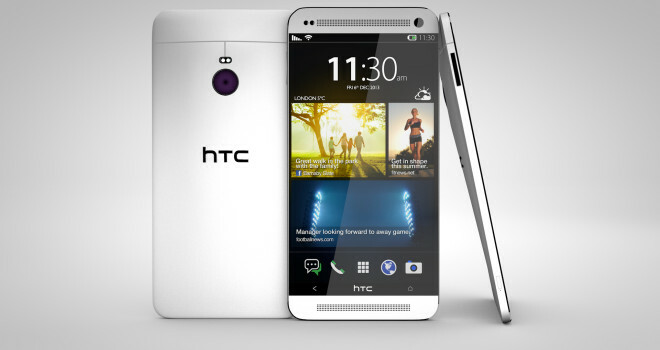 It seems that some other design elements the previous HTC One will return for the new HTC One 2 such as the large screen (possibly 4.7 to 5 inches), stereo (Boomsound) speakers, and a front-facing camera lens. The power button is up top as well. One thing that is pleasing to the eyes is the gold metal unibody frame and in my opinion, it’s look pretty freaking cool and I want one. HTC will have to step up it’s game since at the MWC 2014 next week, both Samsung and Sony will in all likelihood drop the Galaxy S5 and Xperia Z2, at the same time, onto eager smartphone fans.